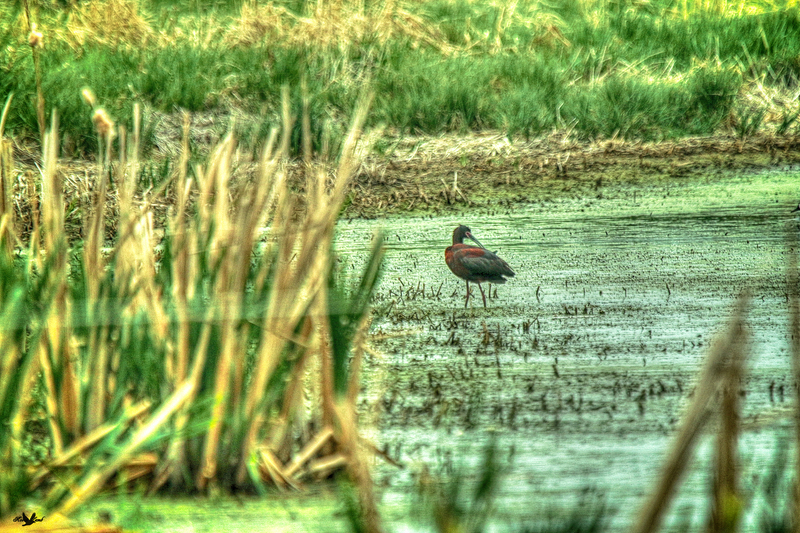 Just east of Calgary, Alberta we came across this dugout with a pair of White-faced Ibis. Both were a considerable distance away and of a bunch of attempts this was the best of the lot. Never having seen an Ibis in the wild before, I was non the less thrilled at this sighting! This entry was posted on 2015/07/13 by Robin. It was filed under Birds and was tagged with Alberta, Calgary, Ibis, White-faced Ibis. The Glossy Ibis is excellent picture, well done.